Rain Recording has introduced a new Windows digital audio workstation, Solstice Spider Edition. 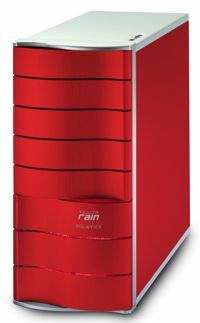 Rain‚Äôs new audio + gaming workstation includes an AMD Phenom 9000 Series quad-core processor, the ATI Radeon HD 3800 Series GPU, and the AMD 7-Series chipset. Solstice Spider Edition is available now and has been designed for compatibility with audio hardware and software like Pro Tools, SONAR, GigaStudio and Cubase.